GPG keys are a way to sign and verify work from trusted collaborators. This page describes how to generate a GPG key to sign and verify commits and tags for use with Bitbucket Server. GPG is a command line tool used together with Git to encrypt and sign commits or tags to verify contributions in Bitbucket Server. In order to use GPG keys with Bitbucket Server, you'll need generate a GPG key locally, add it to your Bitbucket Server account, and also set it up for use with Git. If you already have a GPG key ready to go, you can jump straight to the Add a GPG key to Bitbucket Server section. Administrators can also add GPG keys on behalf of their Bitbucket Server users, which can be useful if your organization manages public-key certificates with a keyserver. Project and repository administrators can enable the "Verify Commit Signature" hook to require that commits are signed with GPG keys. When this hook is enabled, only SSH access keys are allowed to push unsigned commits. If you don't already have GPG, you'll need to install it locally. You can install GPG manually using binaries for your operating system on the GnuPG Download page, or use a package manager like Homebrew. If you're not sure if you have a GPG key already, you can check for existing GPG keys locally. Check the output to see if you have a GPG key pair. If there are no GPG key pairs, you'll need to generate a new GPG key. If there are GPG key pairs you want to use, you'll need to add them to your Bitbucket Server account. In order to generate a new GPG to sign commits and tags you need to have GPG installed already. Provide the information asked at the prompts. Use this command to list your GPG keys. Copy the GPG key ID to use with Bitbucket Server. For example, below the GPG key ID is 7FFFC09ACAC05FD0. 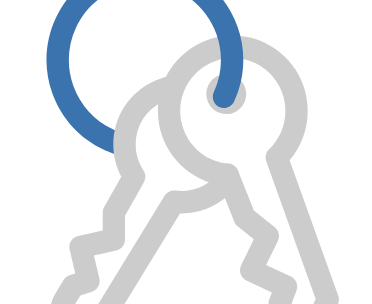 Get your public key you'll add to Bitbucket Server. Paste the GPG key ID into this command to export the public key you will enter in Bitbucket Server. and ends at -----END PGP PUBLIC KEY BLOCK-----. You can now add your public GPG key to your Bitbucket Server account. In order to use your GPG key with Bitbucket Server, you need to have GPG installed, and have generated a GPG key to add. From within Bitbucket Server, go to your account by clicking your profile picture in the upper-right, and select Manage account. Click GPG keys. > Add key. Paste your GPG key in the Key field, then click Add key. In order to use GPG keys with Bitbucket Server, you need to configure your local version of Git which GPG key to use. Copy your GPG key ID. Paste your GPG key ID into this command to set your GPG key in Git. configured your local version of Git which GPG key to use. Enter the passphrase for your GPG key.